Tudigo (ex-Bulb in Town) is a French crowdfunding platform established in 2012 by Alexandre Laing and Stéphane Vromman. 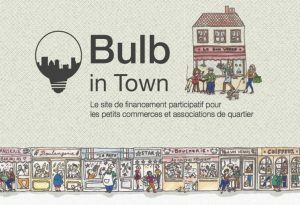 Labelled as the first “local crowdfunding” site, it supports initiatives ranging from the creation of local shops and small businesses to the revitalisation of factories and the construction of energy plants, focusing on projects that have an important territorial impact. Since 2015, the platform also offers equity-based crowdfunding services, that allow the mobilisation of larger funds to make local development projects possible. How did you get involved with crowdfunding? I discovered crowdfunding five years ago when I was a consultant of innovation, working for a bank and trying to help them think about what would be the bank of the future. I realised that people wanted to give me their money and see the results of their savings and investment. They were not satisfied with their usual investments at the stock market or with their bank accounts where one does not know where the money is going. The idea started then. There was another inspiration. My mother emigrated to France from Italy and my father from Cambodia and one of the few options for them was that the restaurant business because they couldn’t get into the companies. So they became entrepreneurs by default when they arrived in France but it was very hard to find a bank loan. My father went around the Asian community that had a traditional loan system called Tontine: through friends and people of the community he raised the fund they needed to start the business. The experience of my parents combined with the power of internet demonstrated by the platform Kickstarter gave me the idea of Bulb in Town. It is a platform where small businesses can find the fund they need to start and grow their business through the support of the local crowd, through people who have a direct interest in these businesses. Existing crowdfunding platforms were optimised for immaterial projects or ones with a worldwide audience, and were not at all adapted for small businesses that did not have the skills to make a crowdfunding campaign happen. This is how we developed the platform and became the first locally referenced crowdfunding site. We realised very quickly that it wasn’t just a funding tool, but also a very powerful engagement platform, because all the local people who were backing and funding projects were becoming the ambassadors of the projects. They started to help and advocate the businesses, bringing more customers in, turning crowdfunding into a very powerful communication tool. What does it mean exactly that you work locally? Until today we funded about 660 projects and we work with 60.000 people all over France. We have local partners like chambers of commerce, banks, various associations and federations who help businesses with loan warranties and we also work with a number of regional banks through partnerships: many actors who already work with entrepreneurs who want to grow their business and who can now add crowdfunding as one of their funding options. Attachment to a territory is very important in these processes. Everybody always wanted to have a piece of the local restaurant, that’s why it works. What kind of crowdfunding models do you work with? The particularity of the Tudigo platform is that we have two different types of funding options. 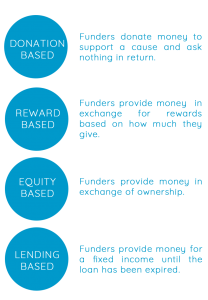 One is called reward-based funding, a Kickstarter-like crowdfunding process where people fund a particular business in exchange for a product or a service this business can provide. We help projects that are of an important size that need significant financing where we imagine that there are people who could give money in exchange for nothing, because they like the project. It’s not a financial action in this case, people support the project because it has a beneficial impact for them. The second model is equity-based crowdfunding where people become investors in the selected business. We started this new offering in May-June 2015 and we have seen 100% of the campaigns succeeding in less than two months, while the rest of the equity-based crowdfunding sector has campaigns that last for six months or more, and are mostly supporting digital or pharmaceutical start-ups, very R&D-based projects and businesses that had just been founded. But nobody was supporting local businesses that you see walking down the street, and we realised that people were actually very interested in that. We also do hybrid campaigns, a mix of reward- and equity-based crowdfunding, where people can give money in exchange for a space, different products or services that a project can give – but can also choose to give a bit more money, and buy shares of the project and get paid back later or sell their shares to other people if they need money. What is the range of funding you can help with? We raise funds ranging from 1000 euros for small businesses that need to change a machine or for those that have very small needs to 1 million euros. In equity-based crowdfunding, we raised capital for 7 projects between June 2015 and 2017, collecting between 200.000 and 1 million euros. And we see that most of the time banks have a very positive reaction to that because they are often willing to add to the funding an additional bank loan, usually 2 or 3 times the funding the initiatives raised by crowdfunding. Banks don’t want to finance something at 100%, they need a collateral. In May 2016, our crowd equity target was increased to 2.5 millions. What is the revenue for investors in this case? We have two main reasons why people invest in the businesses we support: first, they believe they are good, they want to help a specific business, they are attached to an area. The second reason is that some of the projects are quite profitable: for example a hydro-energy plant we supported had a significant return on investment, an annual return of 7% over 7 years, so if you invest 10,000 euros, you get 16,000 euros guaranteed in seven years. Guaranteed, because here, for example, the production was sold to the largest electricity group in France for the next 20 years, with the bank ensuring the liquidity of the investors, ensuring that they can buy back their investments in the next years. For equity-based crowdfunding, we can create bonds or shares, it depends on the project’s cashflow. If there is not enough short term cash flow to pay interests, we cannot make bonds, we make shares. With bonds, we have to define an annual interest and a payment period. If we create bonds for 1000 euros at 5%, for 5 years, people give 1000 euros, every year we have to pay them 50 euro of reimbursement, for five years. At the fifth year, we reimburse the 1000 euros, beyond the annual 5%. With shares, sometimes no exit conditions are defined for the investors. In 5-7 years, they can sell their shares, or we can also define at the beginning that if they pay 1000 euros, the exit will be in 7 years with a yearly profit of 10%. In this case, for 7 years, we don’t reimburse them anything, but at the end of the 7th year we have to reimburse them with an accumulated yearly 10%, that adds up to 1600 euros. When people invest in equity, they are basically making a bet, but for some of the investments we have a defined return on investment. Because of this guarantee, some of these investments are very sure, with others, we make sure that people understand the risks associated with the investment. The difference we have with other equity-based crowdfunding platforms is that we focus on projects that are more concrete, with a much lower chance of basically ending up at zero. We support restaurants, businesses, factories; projects that are more stable, with a smaller growth potential, but people understand it. And the people investing in our projects come from all different backgrounds, not only the professional investors, business angels that know everything about investments, but also people from just around the corner who have never invested in a business. We try to make them understand this business thoroughly and also the risks: we put an emphasis on that. What were the most memorable projects you helped in fundraising? 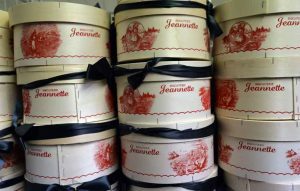 One of the projects we did, that has become well-known was a surprise company in the crowdfunding world, called the Jeannette Madeleine Factory in Normandy. The company was closing down with all the employees losing their jobs. 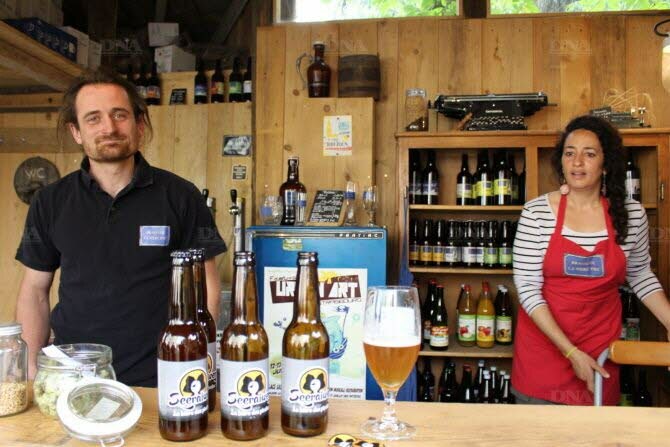 Our crowdfunding campaign not only mobilised people in the local region but throughout France. We had 2000 people backing the project in exchange for madeleines and 150 people investing in the company, enabling the company to create 10-15 jobs and start with a new plan. We did the same again with a cheese factory that had 25 employees and 100 farmers living off the factory. We realised that many people were interested in having an impact, they were very attached to their territory whether they were from the area, or grew up there but left. 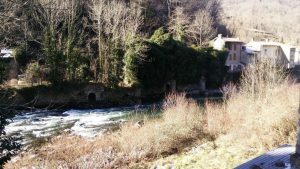 Our largest crowdfunding campaign was in Ariège where we collected a million euros for a renewable energy plant that generates hydro-electricity. In the case of Ariège, 60% of investors came from the area, including many people who were employees of the plant, and people from nearby villages…but we had some large investors as well. 60% of investors were local, 40% from elsewhere in France. The crowdfunding campaign took only 40 days. What is the process for equity-based crowdfunding? How do you launch a campaign? Once a project is submitted to our platform, we have three days to give them a feedback. Then we start to collect documents and get the relevant information. We have a meeting and within a week when we have all the documents, the applicants get an answer from our committee. If we agree to the project then we basically prepare the campaign within three to four weeks and we aim to launch and close it within 30-45 days. The longest campaign we had lasted for two and a half months. For the campaign, we prepare everything that is associated with the process of raising capital. We prepare the shareholder agreements, all the due diligence, so what takes us three to four weeks is that we analyse very thoroughly the business and produce an investment document. This covers strategy, operations, finance, valorisation, everything related to the business that can help an investor understand the project and helps us to spot the risks, too. We really try to present the risks associated with the investment as well and only put on the platform projects that we believe in: each week we receive about a hundred project proposals. Out of this hundred, we say no to 95% immediately. We go ahead with the remaining ones in which we see the potential. As our model is success-based, we need strong projects. We offer many services to the projects with support. We create a financing plan for the project, what kind of crowdfunding we do, etc. Together with the project holders, we define together an interest rate that is attractive but also functions with the project, calculated in connection with the business plan. For big projects, we make a website, integrating different formats, combining reward-based and equity-based crowdfunding. Besides our platform, we also install our crowdfunding technology on other websites, for example, we have 10 crowdfunding platforms functioning today on the websites of chambers of commerce in various regions. Some companies ask this arrangement when they have a project or different projects to be financed during a longer period: then they don’t make a single campaign, but collect funds in two, three or four rounds, because the project is very big or they want to open different companies or sale points. To support the campaign, we create a communication plan to have a maximal visibility for the project. Do you follow the process after the projects get funded? After a project gets funded, we produce a quarterly report to the investors, and the project owners have to give us concrete figures, we often have regular meetings with them. We also gather all the questions and remarks of the investors every three months and give them to the project owners, and then give their feedbacks to the investors. We also have the project owner send questions or demands every month to the community of investors, so that they can take part in helping the businesses. This is something investors want: they want to participate in the adventure, it’s not just about money. The platform assures the management of the payments as well. In the case of interest payments, we take regularly the payments from the project and distribute it among the shareholders. Everything is automatised, it is not a manual operation, that would be difficult with a larger group of people. The same thing for the yearly general assembly, we organise it in an electronic way. We don’t send out manually thousands of mails. If people cannot join reunions, they can also vote electronically. Do you have any examples of real estate investment, for example people came together and bought a building? We don’t deal with real estate investment per se, because we see a very high risk in that and it is not our mission. There is also a limitation with the financial authority that only allows for equity crowdfunding investment in SAS (Société par actions simplifiées) and SA (Société anonyme), two different company structures that are for businesses. The usual structure for real estate operations is SCI (Société civile immobilière) that cannot be the purpose of crowdfunding: when crowdfunding platforms work with real estate, it’s usually not about buying properties. But some of our projects do involve real estate, for instance a restaurant and hotel around Lascaux. Typically, in the case of restaurants or hotels, the real estate is financed by the rent that the restaurant of hotel pays to the SCI. In the end, real estate is part of these operations, it is in the shareholders’ agreement the real-estate part backs the commercial component. How do you help businesses communicate their goals and refine their strategies? We have project mentors and coaches who help the project owners to communicate about the project. We also do PR, newsletters, Facebook-publicity, and we work with our partners on the communication. If we work with a city, for instance, the city would also communicate about the project, but we would provide all the communication plan for that because crowdfunding requires a specific kind of communication. We would help them create the messages, and then they would communicate on their usual channels as well. So the project owner communicates, we communicate, and the partners also communicate. Aside from basically doing crowdfunding, we can also build a crowdfunding tool for an organisation’s existing website, thus providing a crowdfunding platform that has all the colours, name, visual identity of the city or region. Crowdfunding also becomes a tool of territorial marketing, because authorities can use it to showcase the businesses in their area. For the city of Paris, for example, we can show that Paris is dynamic, with a lot of projects, local shops and small businesses starting and mobilising the community: it is an interesting tool to attract more businesses as well. Besides collecting funds, how else can you help new services respond better to local needs? The other part of our vision, at the core of local crowdfunding, is citizen engagement, people engaging with their territory and connecting with its businesses. Crowdfunding begins when you already have a project. But before that, there is another kind of crowdsourcing. We developed another application connected to Tudigo, a tool called “Reveal” that helps launching challenges, questions to the community, like “What do you want to see in this neighbourhood, what services and shops do you want?” If you have an empty shop, you can ask people around about their needs. And it can also be used for allocating money from a city’s budget, or as a digital tool for participatory budgeting. This allows people to say “I would like to have a restaurant that does this” or “a commerce that does that.” Everybody can add their ideas and people can vote or comment on ideas. So the interesting thing here is that before choosing the project and funding it you actually have people telling you what they want to see which can help entrepreneurs position themselves. And then of course, the Tudigo platform can combine that with crowdfunding, whether with people who will buy in advance your products or services, or people who will actually co-invest with you. So if you are a future cheese shop owner but you don’t have enough money to start this business; well, you already have 50% that is provided by the local population who also happens to be your clients so everything is very virtuous because the people will come to your shop to help your business succeed. This is what we try to do with the CoSto programme of Semaest in Paris. And this solution can be used not only for choosing a business, but also afterwards. Once it’s funded, once it’s operating, thanks to this application, you can have people continuously telling you what they would want or how you could improve. You can ask your customers questions about your services, your menus, everything you provide and go on in a collaborative, continuous improvement stage. Economy, Uncategorized , agriculture, commerce, crowdfunding, economy, finance, food, Funding the Cooperative City, neighbourhood.